Australia’s biggest office supplies store were launching a 3D printing centre in the heart of Melbourne. 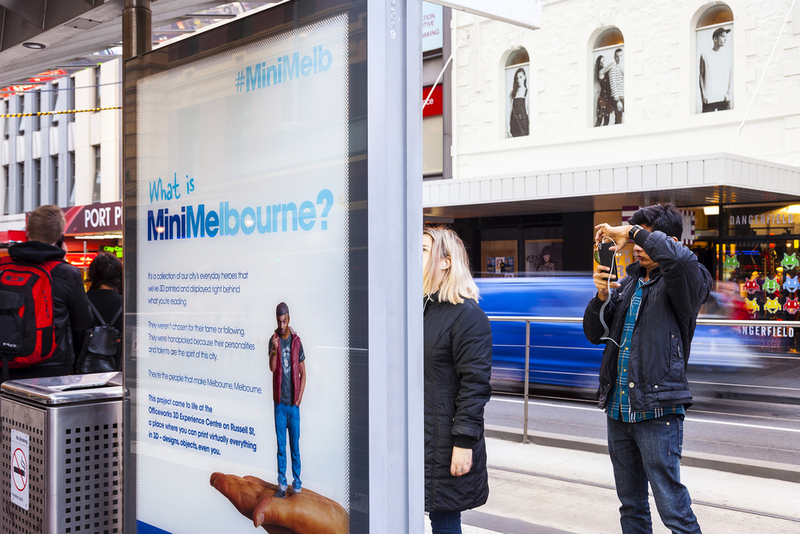 Instead of creating traditional ads, we pooled the budget to create MiniMelbourne — a miniature exhibition of 3D-printed local heroes. We didn’t want A-listers, we wanted the true Melburnians; the buskers and baristas, the street artists and street sleepers who helped make Melbourne, Melbourne. By leveraging the public profiles of each personality, the 3D printing centre became a national news story.